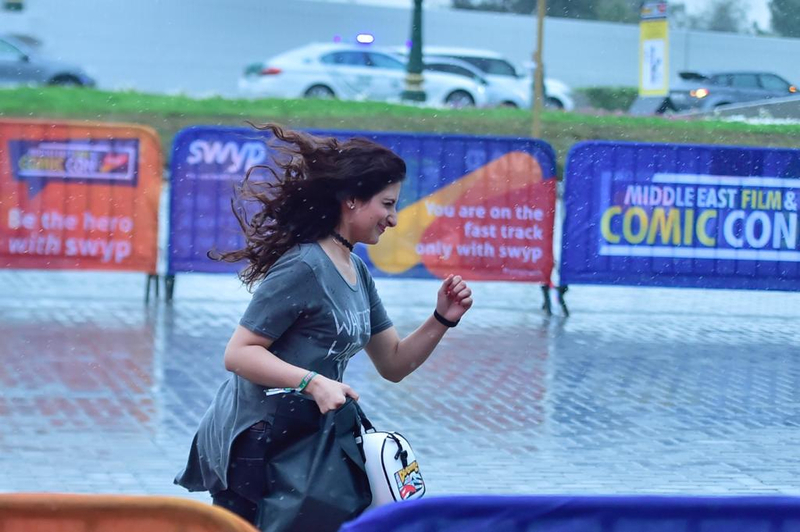 Dubai: Heavy rain and strong winds hit the emirates on Sunday morning, bringing in a second day of cooler weather across the UAE — and rapid surface runoff from mountains, especially in the north. Residents woke up to a heavy thunderstorm in Sharjah and the northern emirates, and several schools were also reported to have closed down for the day due to bad weather conditions. 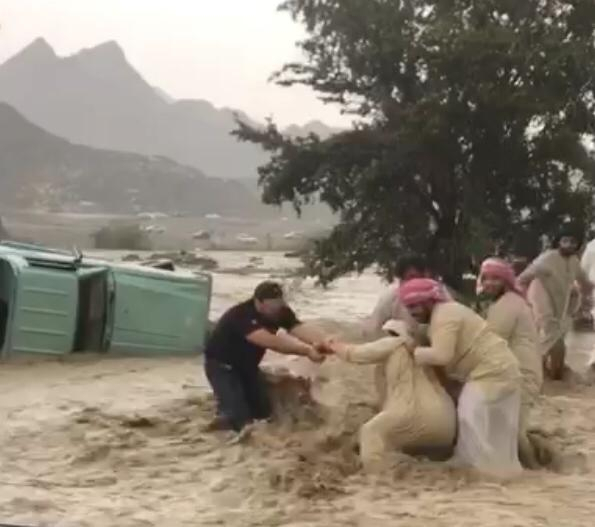 Major General Ali Abdullah Bin Alwan Al Nuaimi, commander-in-chief of Ras Al Khaimah Police and Head of the Emergency and Crisis Management Team in the emirate of Ras Al Khaimah, confirmed that about 570 people were rescued from mountains and valleys cut off by strong flood waters. Once the unstable weather died down, police and rescue teams transported the people who were stuck overnight during the heavy downpour. Photos of flooded homes and schools in Ras Al Khaimah became a trending topic on Twitter as authorities urgently pumped water out of residential areas. Ras Al Khaimah Municipality deployed several tankers in and around the commercial district after Saturday night's heavy rains drowned shops and walkways. The thunder and lightning storm also caused temperatures to fall as pools of water filled up roads, flooded valleys and damaged old houses. On Ras Al Khaimah Police's social media accounts, officials warned drivers to drive safe, be alert on unstable weather conditions, and to exert caution when driving on roads. "We ask drivers to keep a safe distance between vehicles on the roads and to avoid overtaking. Motorists should also drive at lower speeds, avoid going to mountainous and valley areas where there could be flooding, and avoid going to the sea," said police. Moderate to heavy rain was also reported in Ajman, Umm Al Quwain and the wadis of Siji and Sidr in Fujairah. In its daily forecast, the Abu Dhabi-based National Centre of Meteorology (NCM) said the weather will continue to be cloudy with rainfall of different intensities affecting various area, especially the eastern and northern region. Minimum temperatures ranged from 19-23 °C with highs of 26-30 °C in coastal areas, while the mountain areas will have a minimum of 18 °C and highs of 28 °C. In internal areas, the temperature will reach a maximum of 31 °C with lows of 20-22 °C. The clouds will gradually decrease by the evening, while winds will blow dust and sand over exposed areas. The sea will be rough in the Arabian Gulf and in the Oman Sea. After Sunday, the chances of rain will significantly drop and the weather will become more stable, according to the NCM. “The weather will be partly cloudy to fair, with relative humidity to increase during the night and Monday early morning over some areas. Moderate northwesterly to southwesterly winds will blow at speeds of 18-28 km/h, and may reach up to 38 km/h at times," it said. The temperature will gradually increase by Tuesday and rise further again on Wednesday, according to forecasters. The weather will be fair to partly cloudy and accompanied with light winds of 15-25 km/h, while temperatures are likely to soar for the rest of the week.